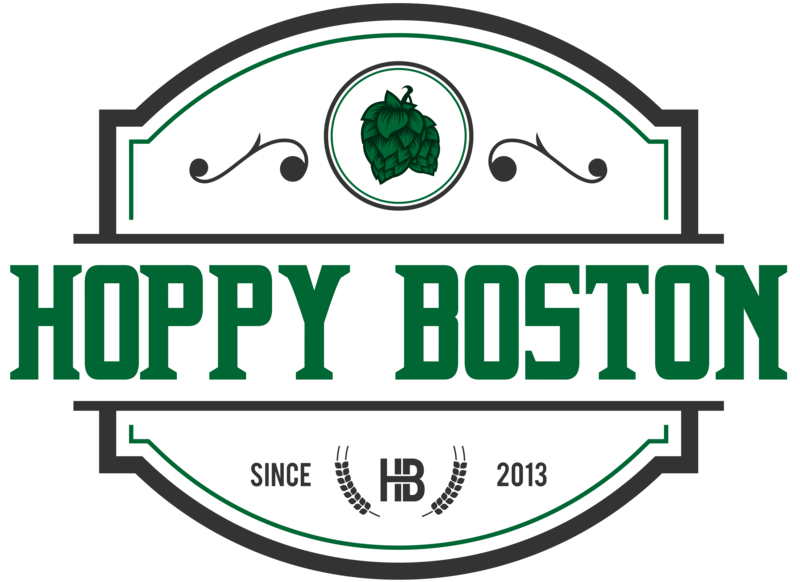 It has been an exciting month on Hoppy Boston, as I’ve celebrated the 5th anniversary of the blog. Thanks to everyone who entered the t-shirt giveaway, packages are headed out to the winners this weekend, and if you didn’t win but still want a shirt they are available for purchase HERE. I also wrote a series of top-5 lists, covering all the best content from the first 5 years of the blog including the most popular articles and my favorite beers reviewed. Thanks for everyone for 5 years of support, looking forward to many more! My latest article for The Full Pint is a profile of Trillium Brewing Company. Apparently the article has been well received, I’ve been asked to turn it into a series covering many of the popular breweries in Massachusetts. Another fun article from this month was my paring of some of my favorite Pearl Jam songs (my favorite band) with local beers. I was able to participate in another Mass Brew Brothers hosted blind tasting this month, this one evaluating local Marzen/Oktoberfests. These tastings are always a blast, good people and interesting discussion about the beers. I was happy to see the highest rated marzen I’ve reviewed on Hoppy Boston take home the win, but my personal favorite was a beer I’d never tried before, the Oktoberfest from Shovel Town Brewing (which finished in second). I might need to schedule a trip to Shovel Town soon. Greg Desrosiers at Bearded and Brewed discusses the ability of blind tastings to break our preconceived notions about beers and brands. I think every beer lover should do these tastings, regularly if possible. Boston Magazine has a ranking of 6 local Fall beers. Not the most comprehensive list, but some quality options to check out with the changing weather. One of the most exciting local announcements this month was from Trillium, who officially confirmed that they are building a farmhouse brewery in Connecticut. Between that and the new brewery/restaurant in Fort Point it is going to be a crazy year ahead for Trillium. Notch Brewing has announced the start of the Voll Projekt, a new label featuring non-session beers. Founder Chris Lohring wanted to brew some beers that fell outside of the session beer styles Notch currently specializes in, and wanted a new “brand” since Notch is synonymous with low alcohol to most drinkers. The Voll Projekt will still stick to the beers Notch does best, expect a range of flavorful and underappreciated lager styles. Gary Dzen has an extensive interview with Lohring covering this new project and other things going on at Notch. There has been extensive debate on beer twitter about whether or not kids belong in taprooms. In my opinion the best take on this subject was written by Andy Crouch on Beer Advocate. During daytime hours there should be no issue with breweries staying family friendly, and if the kids are being disruptive the family can be asked to leave, just like an adult who overindulges and starts bothering other patrons. Beervana has an expertly researched and in depth look at compensation for brewers. Jeff does a great job trying to tease out all of the factors that effect pay, including brewery size, location and the brewer’s experience. I think the industry can do much a better job here, but it honestly wasn’t as bad as I expected. The craft vs. macro beer debate isn’t going away, especially now that there is a large grey area with breweries that have multiple ownership groups or outside investors that stretch the definition of independently owned. VinePair thinks the Us vs Them mentality is bad for the industry. The Full Pint argues that who makes the beer is as important as the product itself. I think it is up the the individual consumer to stay educated on where there beer is coming from and their level of comfort with supporting certain companies. Carla Jean Lauter argues that flights might not always be the best way to try beers at a new brewery. I usually grab a flight when I visit a new place just to get a general impression of what they do, but try not to pass any judgement on a specific beer until I drink a full pour. Many places are offering half pours as an option now, which is a great happy-medium. The Great American Beer Festival has handed out their annual awards. Lots of discussion on social media about the lack of East Coast representation among the winners, and a number of prominent breweries have stated that they don’t enter beers in the festival. Still, there were a few big winners from New England including Allagash, Jack’s Abby, Cambridge Brewing Company and Castle Island. Marlborough has gone from a town taking out ads in beer publications in order to attract a brewery to a potential new brewery hub in the metro west. One brewery is already open and three more are joining soon. As a resident of a nearby community I am very excited for this development and can’t wait to check out all of the new places. Good Beer Hunting reports that Allagash White is coming out in cans. This is probably the only beer left where this would qualify as news. I grabbed some cans of other Allagash beers in Portland last month, I like the move for the flagships and some of their other easy drinking beers. Speaking of cans, MaineBiz notes that there is a shortage of aluminum cans and some brewers are feeling the pinch. For the other brewing and science nerds in the audience: Good Beer Hunting has a story on hop oils, their history and their use in the brewing process. Boston.com’s Gary Dzen documented his trip to Foam Brewery in Vermont. Foam is probably #1 on my list of breweries I need to make it to but haven’t yet. Down the Road Brewing is starting a new line of beers called Dessert for Grownups, the first release is a Cherry Lime Popsicle Sour. Redemption Rock Brewing Company is going to be the 5th brewery in Worcester. SKYBOKX 109 in Natick is hosting their annual craft beer tasting event on October 11th. That is all for September, thanks again for 5 awesome years and feel free to pass along any articles that I should feature next month!